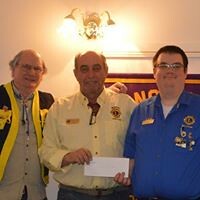 Nineteen members attended our first meeting of the month on May 9th at the Lions’ den. 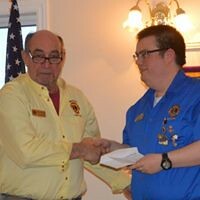 The first item on the agenda was the assignment of jobs for our annual Lions steak BBQ slated for June 14th. Lions from as far away as Glengarry attend this Lions only event. It has grown in popularity over the years and is a major fundraiser for our club. President Wayne Bent updated the members on our trip to the Gananoque Playhouse to see the Buddy Holly Story. There was lots of enthusiasm to see another play in August about a small town going bankrupt called The Canadian. Chairperson Bill Garland reported that the Spring Draw ticket sales had reached $1,000 mark and encouraged members to continue to work hard selling tickets. All proceeds of July 1st draw goes towards maintaining the beach. Again this year the runoff from the mountain washed a good portion of the sand from our beach. 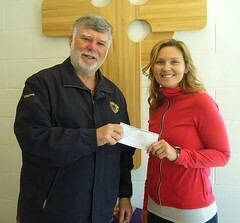 Our spring donations were passed with $5,000 going to local causes. In keeping with our mandate, a large portion of the donations was directed to the youth of our community. The Westport Lions will help to support Westport Storm Minor Ball Team, financially assist a young man to attend Camp Kirk, a special needs camp, send several local youth to Rideau Lakes Day Camp. The Westport Lions Graduation Award includes a monetary award to a deserving graduate from Rideau District High School. We also contributed to the Zone 30S project in helping an Athen’s child with her battle against cancer. To round out our donations we will fund three luncheons for local senior citizens, will donate to the Westport Parks and Recreation Committee and have assisted a local woman with her very expensive cancer fighting drugs. On our May 23rd meeting our club along with members from Elgin, Seeley’s Bay, Perth and Sharbot Lake will travel to 20 Rideau Street to visit Dale Lyons’ Carriage Shop and Museum. If you haven’t visited Dale’s museum it well worth the visit. His knowledge and enthusiasm about old carriages and sleighs is remarkable and his restoration skills are outstanding. The Westport Lions Metal Recycling Program is up and running for another season. Lions George Jones, Mike Robinson and Jim Scala will manage the metal recycling site at 245 Mountain Road every Saturday from 9:00 a.m. until noon. 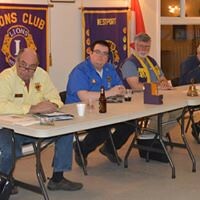 On June 11th, Lion Jim McGlade and interested members will travel to Brockville Lions Club to induct their new officers.